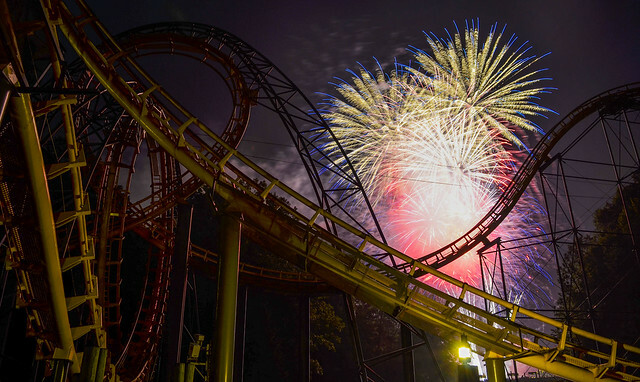 World-famous amusement parks are almost one of the main reasons for many travelers to visit the United States. The local amusement parks look like the whole cities, where you can spend a few days trying different attractions. The concentration of all kinds of entertainment in such places is incredibly large. You can find there everything from traditional roller coasters to very exotic rides that plunge into the world of robots, heroes of comics and blockbusters. Today, we will tell you more about what makes US entertainment parks interesting, how to get there, how much do they cost and other details that you should know about before the trip. Popular attractions: The Beast, Dinosaurs Alive! 60 dinosaurs on 364 acres of land are waiting for you! No, this is not the Jurassic Park – this is the King’s Island amusement park in Ohio! The only disadvantage of the park is its relative distance from big cities. The distance from Cincinnati is about 30 kilometers, and holidaymakers usually use Alamo car rental at CVG Airport to reach the King’s Island. The park can’t offer a vast selection of rides for kids, except for a mini-zoo and dinosaur figures park. So, it’s more suitable for adults and teenagers. 14 high-speed rides, animated dinosaurs, an excellent water park, and many cafes – what else do you need to spend the day with benefit and satisfaction? 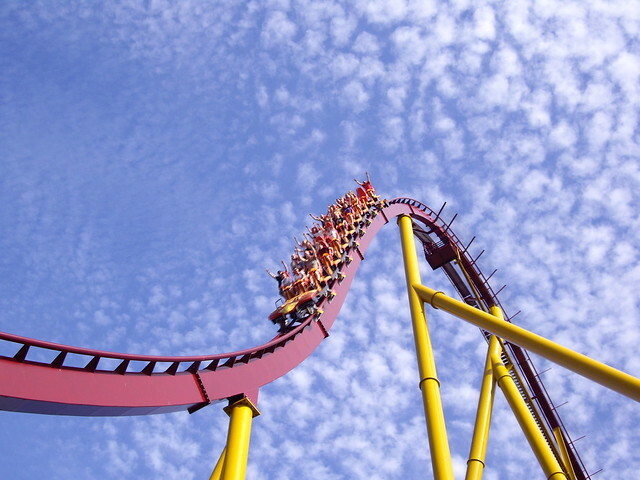 Busch Gardens is among the top 20 most-visited amusement parks in the United States. In addition to enjoying the rides, you’ll be able to get to know European geography. Each area of the park has the name of a European country where the atmosphere of this country is fully reproduced – traditions, dances, food, style, national costumes and even souvenirs. You’ll find there the Colosseum, Big Ben, a Scottish farm where you can feed the animals, as well as the zoo. In short, your children will be delighted anyway. A roller coaster, water rides and other entertainments will make your visit to the Busch Gardens exciting and unforgettable. Located in the center of the chocolate capital, Hersheypark amusement park is a great place to relax for the whole family. In the nine themed areas there are 68 attractions, including 11 roller coasters, a Ferris wheel and water attractions. If you want – you can eat at least a ton of chocolate, which is sold at every corner of the park, or even ride on a chocolate slide and carousel. After all, the park is decorated in the style of “Hershey’s” chocolate company! 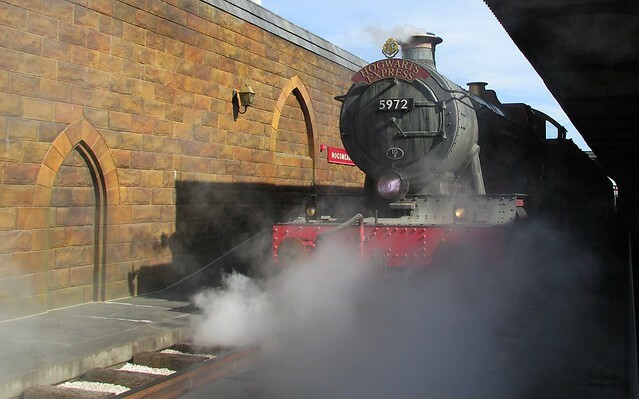 The largest theme park in Florida is entirely devoted to the world of cinema and consists of 6 separate thematic zones, each of which has a lot of its own entertainments. You can temporarily become there the hero of some Hollywood blockbuster, plunge into your favorite game or animated film, take part in crowd scenes, and play a role in a short film. In addition, the park has a lot of rides, created by the plot of films and cartoons – Jurassic Park, Incredible Hulk, Harry Potter and others. Every day, Universal Studios Florida gives its guests an unforgettable 3-D show with special effects and robots, which is an exciting continuation of “Terminator” movie. Lake Compounce was first opened in 1846 and it’s the oldest family park in the United States. The amusement park is located in a beautiful place – at the foot of the mountain on the lake. For the first time, wooden rides were built there, and they serve today. 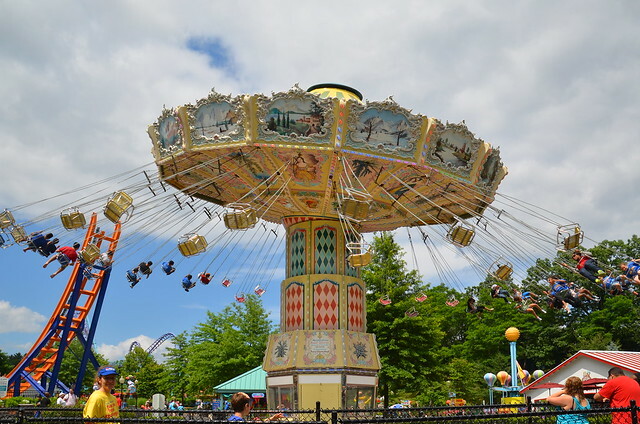 Children feel especially good in Lake Compounce, because the park has created many roundabouts and attractions for them. 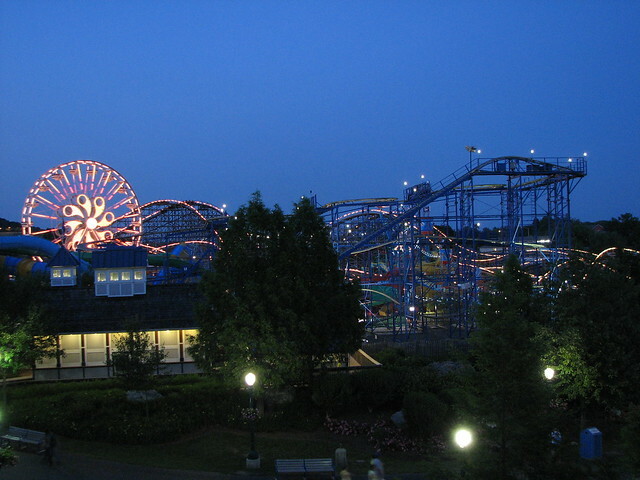 Connecticut’s largest water park is also located in this amusement park. Water slides, pools for all ages, rivers and fountains – this is an ideal option to spend the day outdoors with the whole family! Cedar Point is one of the oldest amusement parks in the United States, which will soon be 150 years old. The park itself was built on the seashore as a resort, but it’s well-known for the fact that the largest number of attractions in the world is created on its territory. Totally, there are 72 attractions are presented on its territory – they include 16 rides for children and adults, water and thematic zones, ice shows and musical performances. In addition, you can always relax and swim in Lake Erie, near which the park is built. 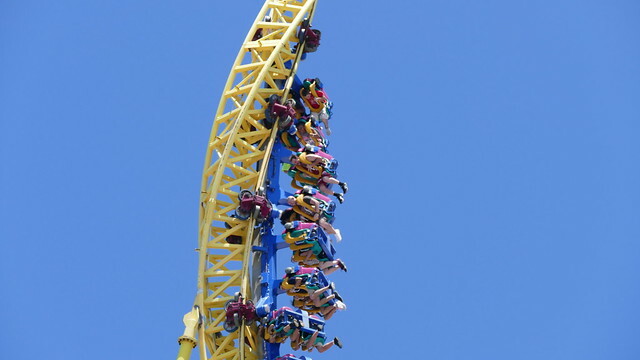 Cedar Point is the number 1 park for thrill-seekers. 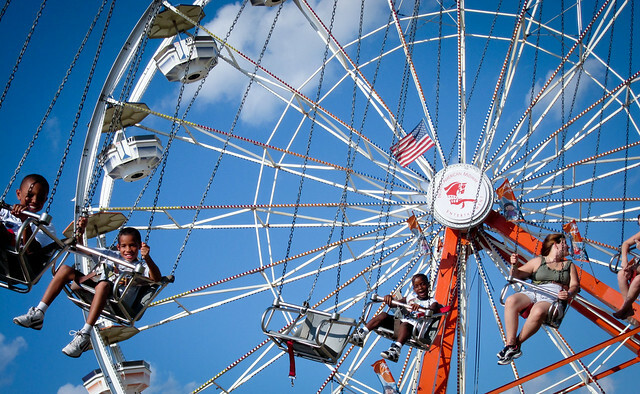 By the way, you need at least two or three days to fully experience all the rides available there. How much fun can you get at once? The Kansas City Worlds of Fun amusement park answers this question. It’s dedicated to the novel “Around the World in 80 Days” by Jules Verne. The park is divided into 5 thematic zones, and you, as the hero of the novel Mr. Fogg, can begin your journey starting from Scandinavia, and then go across Africa, America and the East. The park has an old, but unique Grand Carrousel, in which each of the 64 horses is made according to a special design.